De novo genome assemblies were generated for three species, the American alligator, the saltwater crocodile, and the Indian gharial. However, we have recently begun work to generate reference-based and de novo assemblies for multiple additional taxa. Details for each is provided below along with links to relevant scientific manuscripts and/or repositories for the assemblies themselves (if released). Description: The American alligator was our flagship species and the first to be completed. This assembly was recently improved using Dovetail Genomics' high contiguity approach. American alligators prefer mostly freshwater habitats, but occasionally can be found foraging in the ocean. Description: The Chinese alligator occupies small portions of the lower Yangtse River and surrounding ponds. 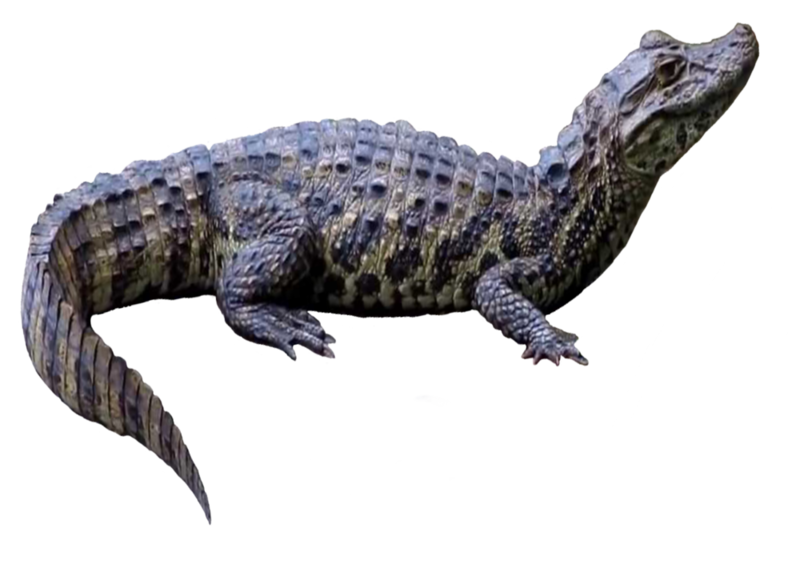 The Chinese alligator also inhabits the coldest distribution of all extant crocodylians. Individuals routinely hibernate in burrows for 6 months in the winter season. 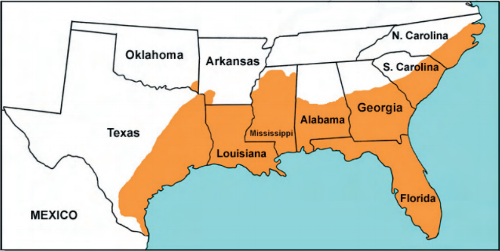 The Chinese-American distribution of alligators remains a phylogeographic mystery without a broadly supported hypothesis. A draft genome of the Chinese alligator is available on NCBI. Additional resequencing efforts have finished and a reference-based assembly will be created using the draft genome on NCBI. Description: The Black caiman is the largest member of the Caimaninae subfamily and is similar to the American alligator in both morphology and coloration. Black caiman prefer freshwater habitats including rivers, lakes, swamps and other low-flow waters. Description: The Spectacled caiman is the most widely distributed and possibly the most numerous alligatorid. There are four known subspecies of C. crocodilus and they all thrive in freshwater habitats of South America. More molecular inquiries are need to determine the genetic structure of the C. crocodilus complex. The species can co-occur among C. acutus, C. intermedius, and M. niger. Description: In 1988, the Yacare Caiman was elevated from a subspecies of C. crocodilus. 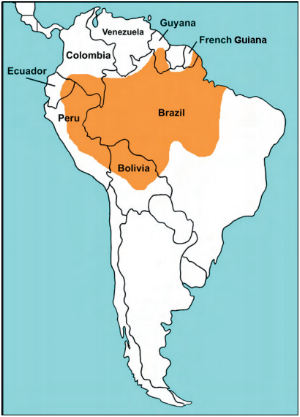 Although it is geographically separated from its sister taxa, the spectacled caiman, it shares much of the same ecological niche as its counterpart. There are no reliable morphological differences between C. yacare and C. crocodilus. Description: The Broad-snouted caiman is highly aquatic and overlaps in range with the Yacare caiman. Some populations of C. latirostris survive in saline environments, such as brackish wetlands and mangrove-lined estuaries near the Pacific coast. Description: The dwarf caiman is one of the smallest extant crocodylians on Earth. What it lacks in stature is compensated by the extensive amount of dermal armor. This species prefers forested streams, rivers, and other freshwater flooded areas. Uniquely, this species nocturnally forages for prey at night on land and retreats to a burrow during the day. Description: The Smooth-fronted caiman overlaps in range with its sister taxa, the dwarf caiman. Compared to the dwarf caiman, P. trigonatus has even more dermal armor. They, like their sister taxa, are often found nesting near termite mounds to maintain temperature consistency. Similar habitat preferences are also shared between the two species of Paleosuchus. Description: Gharials are among the most recognizable of all crocodylians due to the odd protuberance at the anterior end of the snout in mature males. This species retains a mostly aquatic lifestyle indicated by their piscivorous diet and short limbs. Gharials prefer to inhabit pools along high flow rivers systems are known to cohabitate with mugger crocodiles in the wild. DNA was provided by the Fort Worth Zoo after a young female died from disease. Location: Isolated locals in northeastern India and Nepal. Description: The gharial and false gharial share the family Gavialidae. Both species share a long narrow snout, but the false gharial’s is relatively less slender and lacks the noticeable protuberance at the tip of the snout found in gharials. False gharials prefer forested freshwater lakes or slow moving river systems and maintain a diverse generalist diet. Description: The saltwater crocodile is the largest living reptile and was our second genome assembly. The genome draft for this species was also recently improved and a manuscript is in preparation detailing that data. All reference-based assemblies detailed below will utilize this new C. porosus draft genome as the reference. The individual sequenced for both genome drafts was Errol (right), a wild-caught crocodile who now resides at the Fort Worth Zoo. The saltwater crocodile is the largest of all extant crocodylians and resides in both freshwater and saltwater environments. Individuals have been documented making extended sea journeys of 400+ km over a 20-day period. This species also boasts the greatest measured bite force of any organism in the world (7,7000 psi). Location: India to northern Australia, through Southeast Asia, the Philippines, Indonesia, and Papua New Guinea. The freshwater crocodile (freshie) is native to inland waters of Australia. It's smaller and has a narrower snout than the saltwater crocodile (salty). Description: The American crocodile is the largest and most widely distributed new world crocodylian. Their habitat consists primarily of brackish water coastlines including lagoons, mangrove swamps, and hypersaline sections of rivers. The species is also known to hybridize with other new world congenerics.